If you’re anything like me, you have a hard time sharing desserts. Now you have the perfect excuse NOT to: this is, by definition, a single-serving dessert. A.k.a. – one person! Never mind that this recipe actually creates three perfectly moist, fluffy mini-mug cakes. That just means three times the dark chocolate and subtle coffee flavour all for little ol’ you! And when it’s free of gluten and refined sugar but high in fiber and protein, you can eat it all down to the very last bite! Use the modern miracle of the microwave to whip this up in mere minutes! Well, hello to the blogiverse (or so I’ve heard it called – I didn’t come up with that on my own!). Did you miss me, dear readers? I certainly missed you! Or more to the point, I missed blogging. Sometimes life just gets in the way, knowwhatImean? And by life, I mean vacation and working long hours leading up to vacation (to feel ready to leave on vacation) and working long hours after vacation (to make up for being on vacation – tell me again why I take vacations? ), and *trying* to keep up with workouts and eking out some time to spend with Mr. Golden Graham and the Golden Graham Boy and to just, well, sleep and possibly breathe?? But I’m back, and ready for action. Because of course in the midst of all of the above, I still had to eat. And I’m not the type to go the pre-packaged convenience route (other than for my beloved Quest bars) so you can rest assured that I’ve continued to test out recipes from my favourite food bloggers as well as experiment in the kitchen with my own creations and concoctions. This time around, my inspiration is coming yet again from Jessica Stier at Desserts With Benefits. I might not be celebrating my 23rd birthday (in fact, if you tack on a decade-ish you’ll land on the number I celebrated just over a month ago – for that occasion, my friend Beata made me THIS Dark chocolate raspberry upside-down cake from Ambitious Kitchen and it was EPIC – a lot more carbs and fat and less protein than my usual fare, but gosh darn it, that’s what special occasions like birthdays are for, amirite?? It was worth every bite, too). Jessica, kitchen wizard that she is, made this Healthy Single-Serving Matcha Microwave Cake with Matcha Protein Frosting. I was so intrigued by her (always gorgeous) photos that I had to make it right away. And then my mind turned to other possible flavour combinations, and away I went! Green tea? Naw, let’s have coffee instead. And what pairs better with coffee than chocolate? Nothing, as far as I’m concerned. 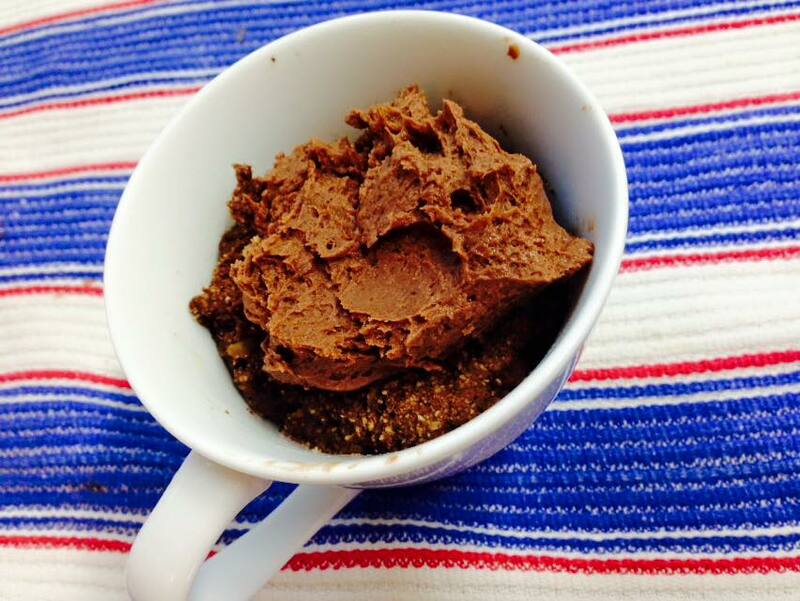 And so was born Healthy Single-Serving Mocha Microwave Mug Cake. More than a mouthful! 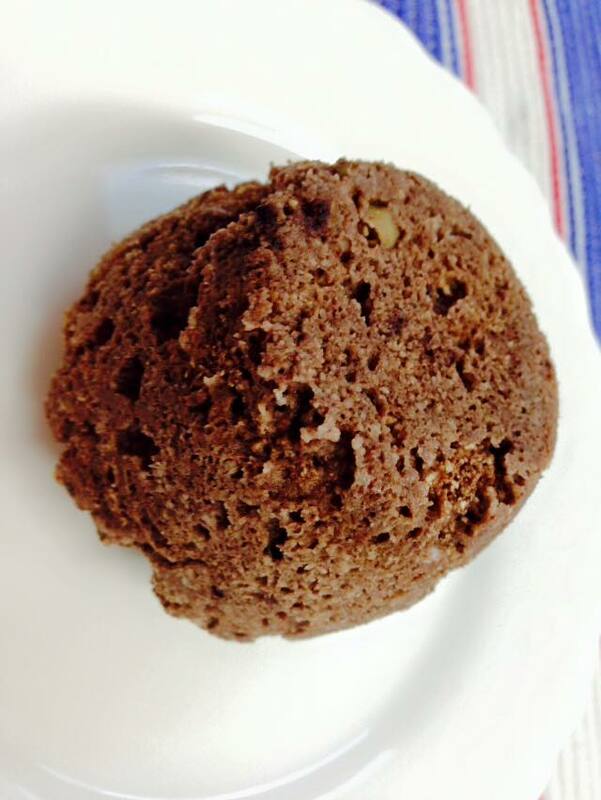 Now you have the perfect excuse NOT to share your dessert: with no gluten, grains or refined sugar in this rich, moist mug cake, you can and should enjoy every bite of its delicious dark chocolate and subtle coffee flavour all to yourself! 1. In a small bowl or container, combine all dry ingredients (pro tip: I like to put my dry ingredients in a sealable container and shake to combine thoroughly – no risk of whisking dry ingredients out of the bowl onto the countertop or floor!). 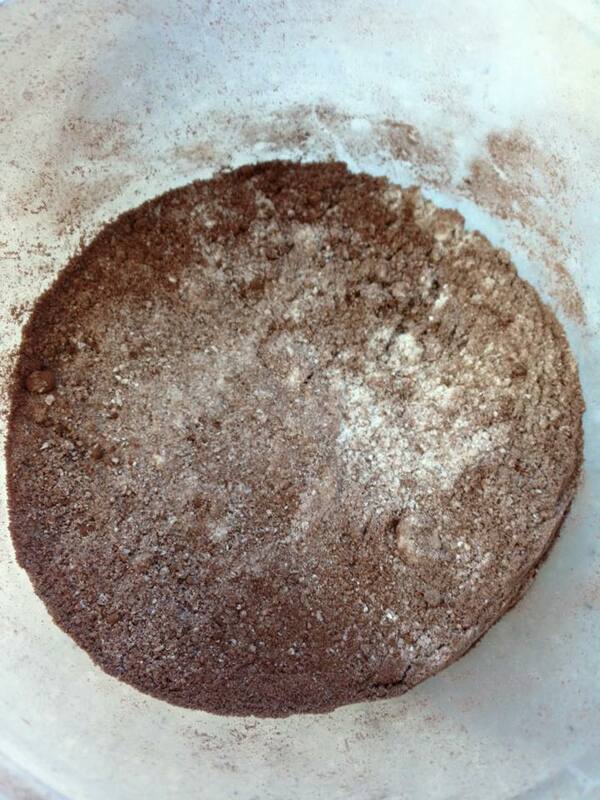 Break up any lumps of cocoa powder with a fork or whisk. 2. Mix the remaining wet ingredients in a separate bowl until fully combined. 3. 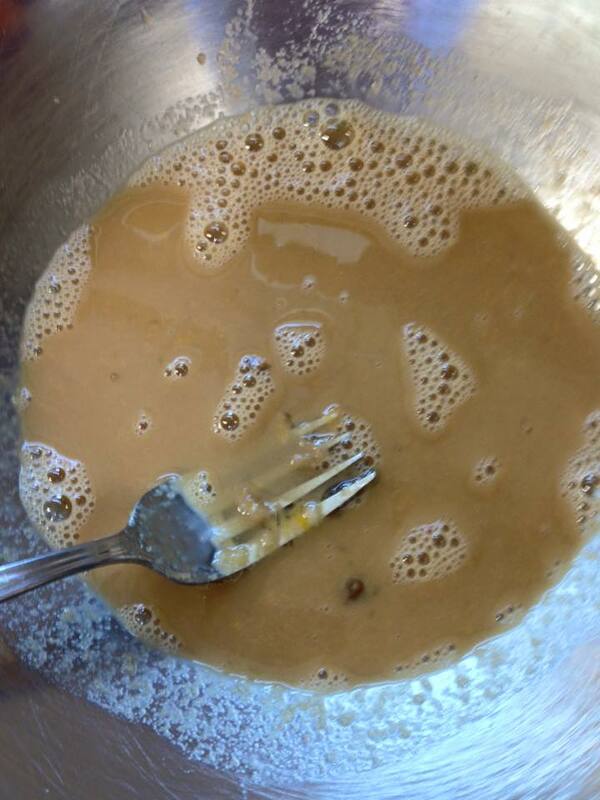 Add the dry ingredients to the wet ingredients and mix until just fully combined. 4. Spray three tea-cup size ceramic coffee mugs or ramekins with non-stick cooking spray. 5. Divide the batter evenly between the three mugs (option: use one large mug or microwave-safe cooking dish – you’ll need to experiment with cooking times, below). 6. Microwave each mug separately for 90 seconds (in a 1000-watt oven). For a single large cake, total cooking time will likely be 3-4 minutes. Top should be set and no longer wet and shiny, but cake should spring back lightly when pressed. 7. Cool in mug for 5 minutes. 8. Option to top with Whipped Chocolate Protein Frosting. 9. Eat straight out of the mug with a fork or spoon, or tip the cake onto a plate (pro tip: this creates more surface area for frosting!). Serve warm (especially with the protein frosting and/or a generous scoop of coconut or dairy ice cream or a dollop of whipped topping) OR store in the refrigerator in a sealed container for 3-5 days (if it lasts that long) – this makes a wonderful snacking cake any time of day (or night)! Combine the dry ingredients in a separate container for no-mess mixing! Whisk together the wet ingredients until fully combined – see the coffee for the magical mocha flavour? The batter will be thick and chocolate-y! 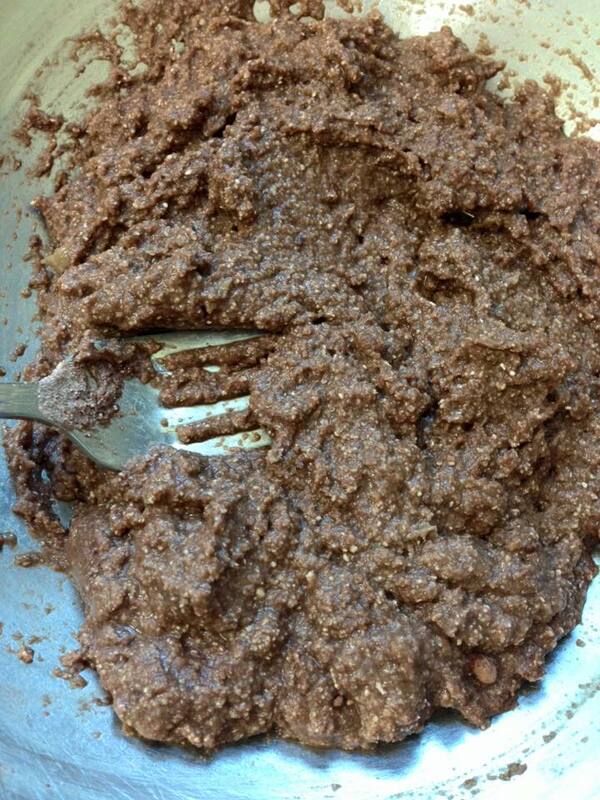 Here’s a naked mug cake, just waiting to be frosted. 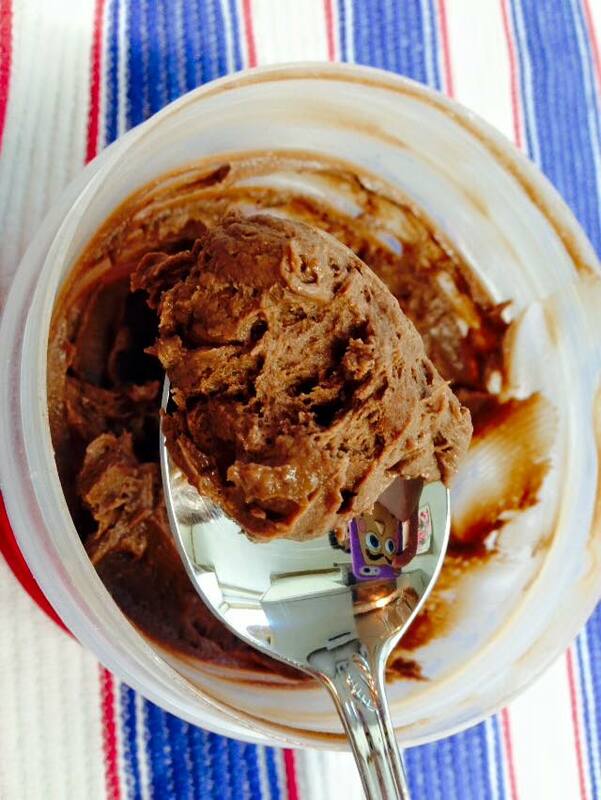 Whipped Chocolate Protein Frosting – at 17 grams of protein per serving, it really lives up to its name!